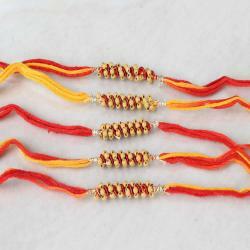 Product Consists: Royal Five Set of Colorful Designer Beads Rakhi nicely tied on a designer Card. 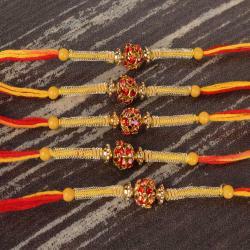 Giftacrossindia.com gives you the easy online option to send rakhis within any budget. 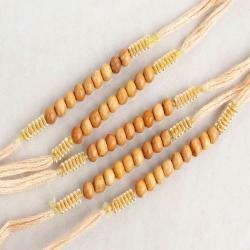 This rakhi season make your brother feel special with this adorable set of rakhi threads. 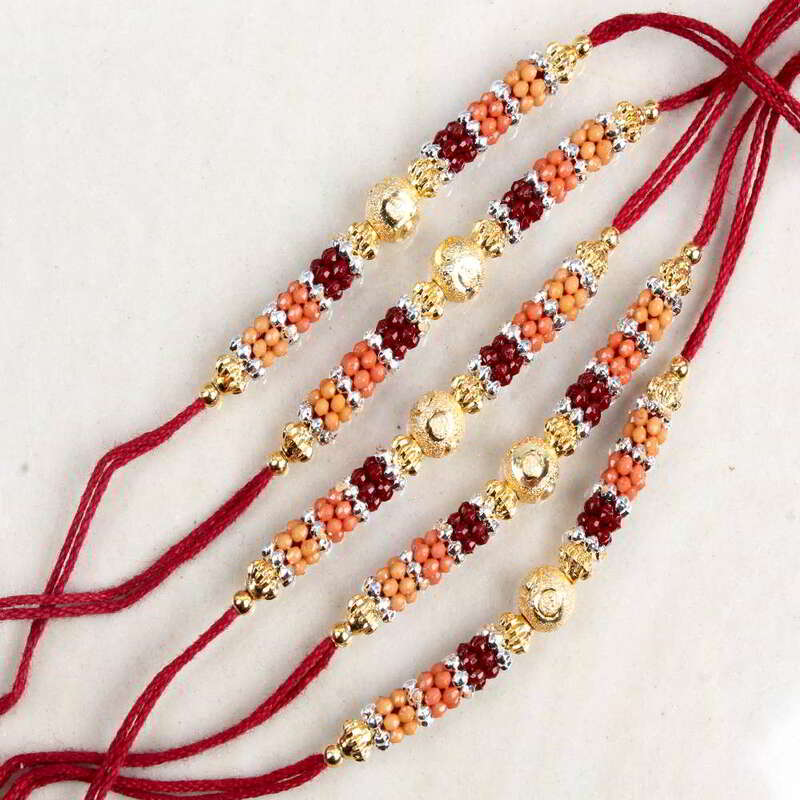 Royally designed Rakhi pairs is blushing in beautiful style. Let your all age brothers to enjoy this Raksha Bandhan with love and care. 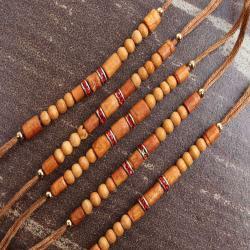 This festival is not just about tying rakhi thread on your brothers wrist and sharing gifts, it is also about enjoying the memorable moment with your siblings. With or without them being with you, we have got the unique ideas that would let you fell the happiness in the same way. 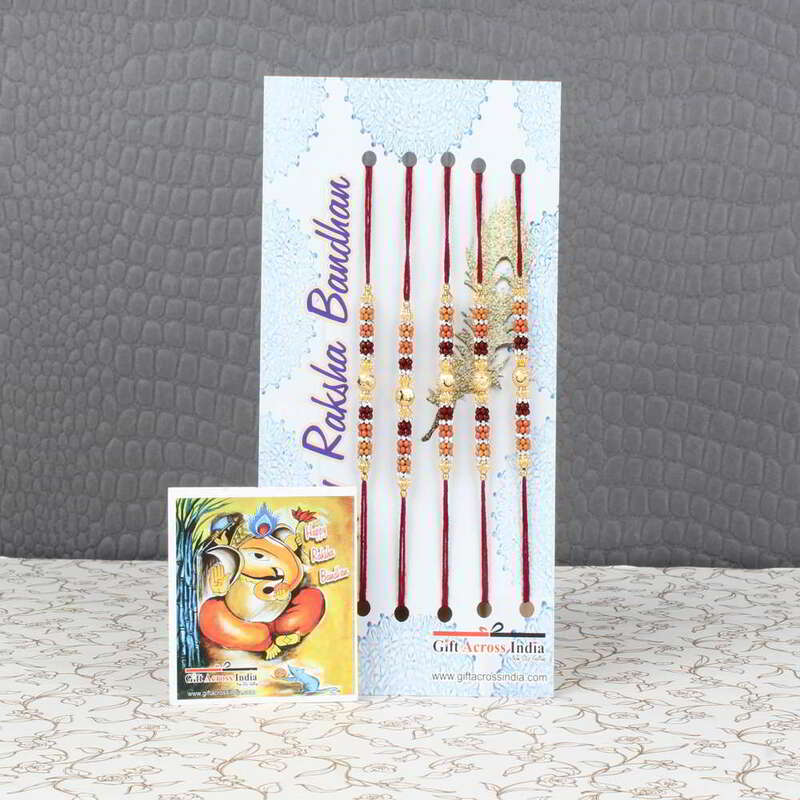 Product Includes: Royal Five Set of Colorful Designer Beads Rakhi nicely tied on a designer Card.